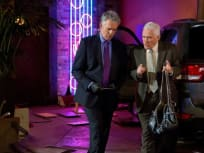 On Major Crimes, the team must work together with the FBI to catch a sniper and Raydor makes a deal that surprises Provenza. Raydor and Rusty wonder if Dunn can be trusted and the team's investigation is complicated when the facts are unclear on Major Crimes. On Major Crimes, when a murder conviction is overturned Tao ends up suffering the consequences. Rusty visits with his father. On Major Crimes, an information leak jeopardizes a case and developments are made in Rusty's case. On Major Crimes, Raydor makes a surprising decision that may put her career and Det. Sykes life in danger. On Major Crimes, the team must work with the district attorney when a kidnapping ends with tragic results. 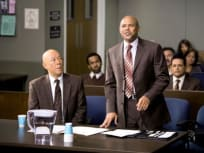 "The Ecstacy and the Agony"
On Major Crimes, when a homicide case involves the Israeli mob, the team must work with the FBI. On Major Crimes, when the team investigates a fatal car crash at a nightclub, nothing is as it appears. Raydor finds out the harsh truth about Rusty's mother. On Major Crimes, Raydor works to earn the respect of her new team as she also works to handle Rusty. Will Provenza be able to deal with the changes in Major Crimes while trying to solve a brutal homicide. The Major Crimes takes us inside the division of the LAPD lead by Sharon Raydor. On the premiere, she looks into a strong of fatal robberies. Waddya know. A hanging Chad. Permalink: Waddya know. A hanging Chad. 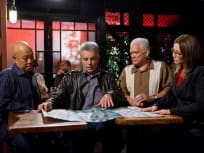 Provenza: Oh this is a crappy way to make a living. Working with the worst the world has to offer without being in charge. Flynn: You weren't in charge for eight years. Provenza: Yeah, but now I'm mad about it.